10. Mars: mars – Explore Mars on a jetpack. 8. Big hunter – An intense hunting game of starving tribal people! Hunt the gigantic mammoths! 7. SBK 2016 – Experience the thrill of handling a 200 HP beast, speeding through the most challenging race tracks in the world: Aprilia, Kawasaki, Honda, Ducati, MV Agusta, BMW or Yamaha! 6. Poly forge – Forge amazing crystals in a symphony of shapes, sound and color. 5. Train conductor – a high-speed train traversal puzzler; trundle, turn and track in this spectacular European adventure! 3. Iron finger – Combination of fast, challenging and fun arcade games to test your skills. 2. Mobius final fantasy – The definitive high-definition FINAL FANTASY game for mobile phones! 1. Slaughter – You are Russell – a mercenary who was imprisoned in a city inhabited by madmen! 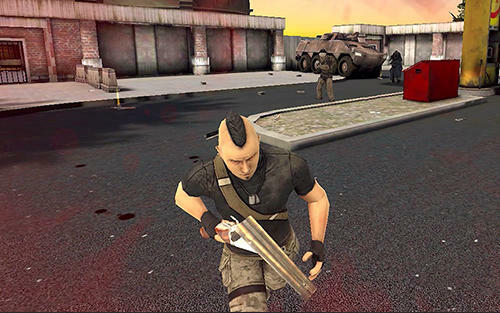 Grab a gun and sweep your way through hordes of lunatics and horrendous bosses!